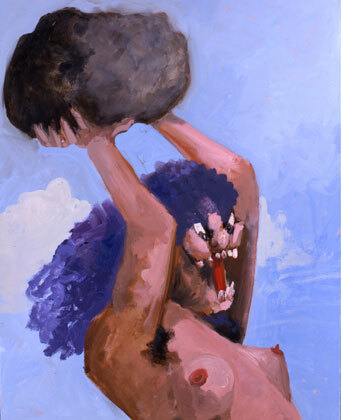 The Musee Maillol, Paris presents the work of George Condo through August 17. This exhibit, entitled ‘The Lost Civilization’, is part of a cycle of shows devoted to young American painters. Jean-Michel Basquiat, Keith Haring and George Condo emerged simultaneously on the New York art scene in the early ’80s; each has defined a new current within contemporary art. 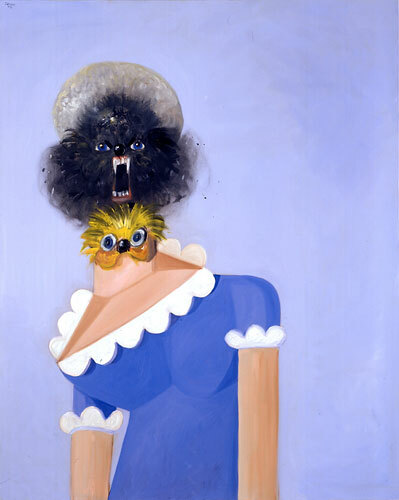 This major exhibition presents over 100 works of George Condo, including his paintings, works on paper, and sculpture. 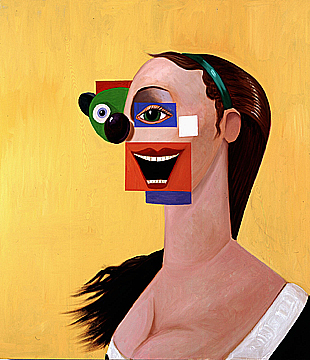 The work of George Condo appears like a rereading of various art movements in art history, based on the re-use of several existing styles. Condo cites as inspirations the works of Velasquez, Manet, Warhol and Goya. 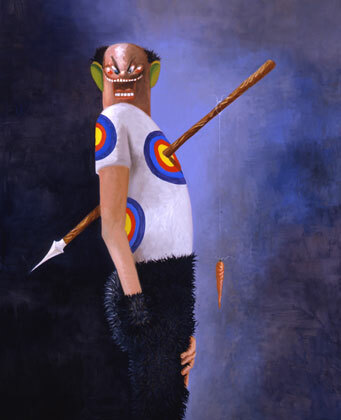 To describe his style, the artist coined the expression “artificial realism,” which he describes as “a realistic representation of something that’s artificial.” His work refers to and revisits Cubism and Abstract Expressionism, caricature and comics – the influence of Picasso and Francis Bacon is combined with the slapstick quality of Mad Magazine’s comedic faces. 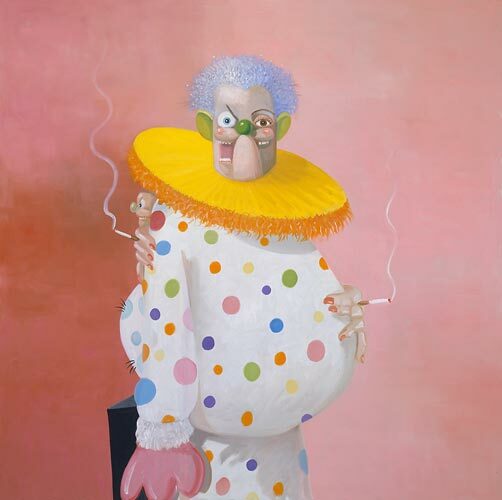 A physiognomist principle is at work in Condo’s gallery of fictional characters: he establishes a correlation between the configuration of a face and the character of the human being. Born in 1957, Condo studied art history and music theory at the University of Massachusetts at Lowell, before beginning to show his work in New York in 1981. His first solo exhibition was at the Ulrike Kantor Gallery in Los Angeles in 1983. Since then he has been the subject of several exhibitions, both in the United States and internationally. His work is part of the permanent collection of MoMA, the Whitney and the Guggenheim in New York and the Albright-Knox Art Gallery in Buffalo. This entry was posted on Monday, May 18th, 2009 at 12:37 pm	and is filed under Go See. You can follow any responses to this entry through the RSS 2.0 feed. You can leave a response, or trackback from your own site.